Funny that these little crumbs seem to pile up in my brain! Here’s the latest edition. Weather: We’re supposed to have warmer temps today, but with the wind howling, it won’t feel warmer. Sunday is supposed to be warm, also, but there will be rain. My husband still has some outside decorations to take down, but the weather isn’t cooperating. I’m still pretty much stuck indoors. It’s bad when the only time I got out this week was for a funeral – and I nearly froze! Accessibility: I’m still on my soapbox about that issue! When we went to my friend’s funeral on Tuesday, we parked at the side where there are handicapped slots. Would you believe there was a painter’s truck parked there! Then we decided I should use the chair to conserve my strength. Well, the ramp was ridiculous! It’s steep and the turns are extremely tight. As if that weren’t enough, the outside door weighed a ton, opened out, and I almost slipped out of the chair! There was a small space inside, then another door opening out. If my husband hadn’t been with me, I never would have been able to get in. I think I’m seeing this more and more. I feel embarrassed that when I was able-bodied, I never noticed these barriers, but now that I’ve become disabled I see it all the time. There are restrooms marked with the blue symbol, but really only have a grab bar near the john. There are entrances that require someone other than the wheel chair bound to open the doors. Will we ever have complete accessibility? Not Really a Fall, but… The other evening my husband was out, and I had myself a little adventure. I was taking off my shoes, and I slid too far forward on the sofa where I sit. After trying unsuccessfully to get myself back, and continuing to slide forward, I finally decided to just lower myself to the floor. I sat like that for a while, but then my back started to hurt. I tried to twist myself around and pull myself up, but I couldn’t. I struggled for two hours and finally decided to give in and call my husband. He dashed home, got me to my feet, and lowered me onto the sofa again. Then I had to be chided for not calling him immediately. I guess I needed something to keep me from getting bored! 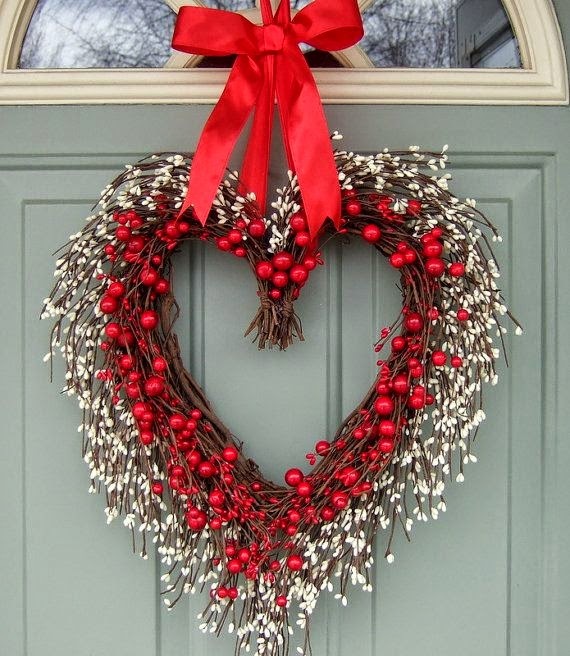 Decorating: For my front door, I want to take a grape vine wreath and fill it with white tulle. I’m thinking about using those shower scrungies from the dollar store and stretching them out. Then I want to add white snowflakes and silvery-blue ribbon. If I don’t get this done in a timely manner, I’ll concentrate on Valentine’s day. I don’t do a lot for V-Day, except some goodies and little gifts for my grandies! House: We were scheduled to get the roof (roofs) done last fall. However, one guy backed out (our roof is high, very steep, and dangerous,) and another wanted $35,000, or $65,000 if he included the trim on the siding! Yikes! I think my son found a guy who will do it more reasonably, but now we have to wait for warm weather. Once that’s finished, we can have the interior painted. Home ownership is one headache after another! Books, TV: I read three of Jo-Jo Moyes’ books, and I thoroughly enjoyed them. They all take place in England, so it’s a bit of a change for me. Windfallen was about a house, and it took place over several generations. The story was very different, and I recommend it. Me Before You told the story of a young man who was paralyzed in an accident and his caregiver, who was a bit eccentric. Again, I recommend it! The Last Letter From Your Lover kept me reading through the chapters quickly – definitely a must-read! I ordered a book that I thought was for adults, but it turned out to be a teen read. If I Stay by Gayle Forman has been made into a movie, and it’s a quick read, but good. Now, I’m ready to dive into Jodi Picoult’s Leaving Time, and I always enjoy her works. TV: Football is a biggie with our guys, so I’ve been recording a lot. Tomorrow, I’ll catch up on my shows. “Newsroom” had its third and final season, and it seemed rushed. I did enjoy that series. I want to get Netflix, so I can catch up on movies. When I check On Demand, I realize that it would be cheaper to get Netflix. I think that’s it. If I find any more dust bunnies up there, I’ll save them until next week!! HI MUFF - I too am SO aware of how NOT handicap accessible is accessible at all. I get so upset - I was at a re-hab facility visiting my dear friend who has MS and the restrooms were very hard to navigate - I went in with my scooter and was banging in to walls trying to make turns - sounded like a demolition derby!! My God!!! - so sorry about your landing o the floor and unable to get up - I too would need help - such a fear and harsh reality. and thanks for changing the color of your font - I could not read the yellow color from yesterday. Headed to the hair salon today - got to color that gray and getting a manicure too. Nice. I just wish that the people who make these accessible features could see things from our perspective! I try different font colors, but I plan to stay with the darker on light background. I have to work on the features of my blog space. Ah, the cry goes up from another poor soul... "Wheelchair friendly? Really? REALLY?!?!?" There is a special place in hell for those people who claimed that something is accessible. In this circle of hell are people in wheelchairs, doomed to forever use the ramps that they claimed were easy and safe to use. PS: Sorry for the multiple comment-deletions; that's on Autocorrect; kinda like alleged wheelchair-access being a sort-of helpful mock feature. Auto correct can be a pain, but I read a funny series on FB about it that had me in stitches. I really don't want these 'planners' to wait for hell. I say, stick them in a w/c now and have them navigate their accessible features! Hi Muff, we did our roof last year and also had 4 skylights replaced, we paid $ 15,000.00, and our roof is huge and very steep. I blogged all about it. My brother in law has installed roofs his entire life, he and my nephews did the work. I have had similar experiences when I have used a chair and have always been happy I was not alone!! I remember your stories about your new roof. That price sounds correct! We should be starting once the winter has ended. I never go anywhere alone anymore -- it's frightening. 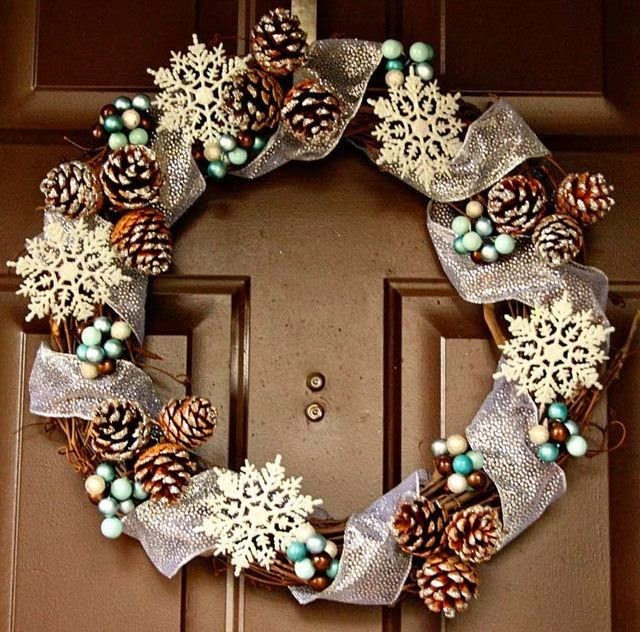 oohhhh and those wreaths are gorgeous!! We have no Wallyworld near us. (The name reminds me of Chevy Chase and "Family Vacation.") Our craft places are Michael's, AC Moore, and Jo Ann's. 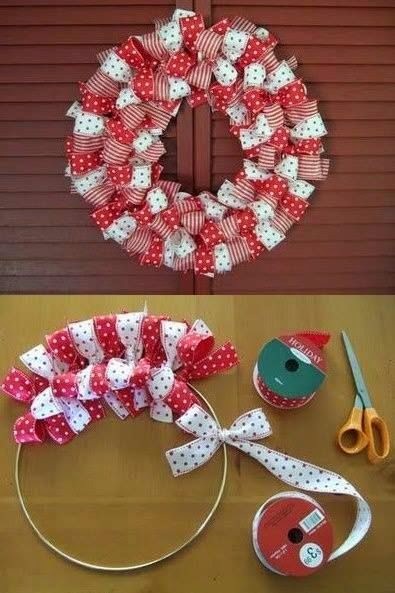 I'll be starting the wreaths this week. 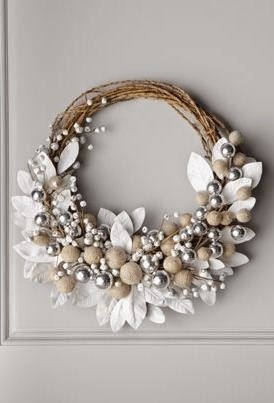 The wreath ideas are just lovely. I understand your independent streak, but perhaps your husband is right. There are better ways of keeping boredom at bay. But he's always right, she says stamping her foot! !